French satirical magazine Charlie Hebdo is publishing a special edition to mark one year since terrorists stormed its newsroom, killing most of its top editors. The cover features a cartoon of a bearded figure. He is covered in splashes of blood and has an assault rifle slung over his shoulder. "One year after: The assassin is still out there," the headline reads. The special issue will be published Wednesday, on the eve of the anniversary of the attack. Charlie Hebdo went from being an obscure publication that was little known outside France to an international symbol of free expression after terrorists slaughtered 12 people in its offices on January 7, 2015. Five more people died in related attacks in France in the following days. Al Qaeda in the Arabian Peninsula claimed responsibility for the attacks. The anniversary edition will feature cartoons from those killed, as well as an editorial written by surviving cartoonist Laurent Sourisseau, nicknamed Riss, who is also publishing director. 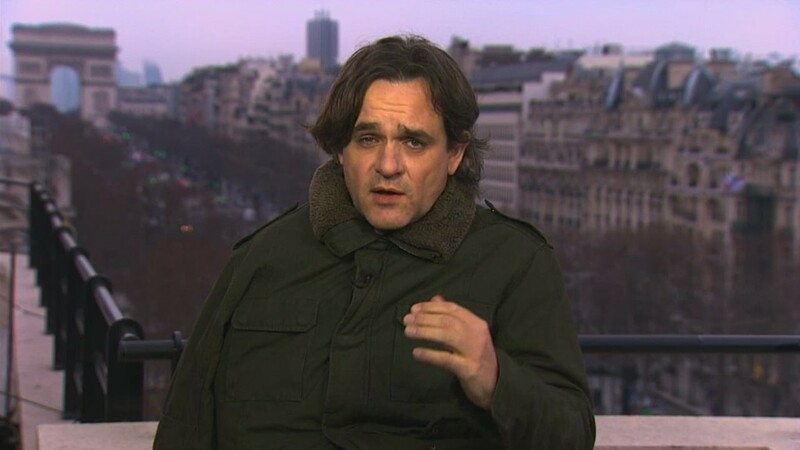 He has a defiant message for those who wanted the magazine to disappear, saying the "whole of France began to read Charlie" instead. In the editorial, Sourisseau denounces "fanatics made stupid by the Koran, but also bigots from every religion who wished upon us the hell they believe in, because we dared to laugh at religion." The attacks threw the future of the publication into doubt. But it made a strong comeback: the first edition after the attack sold 7 million copies worldwide. It featured a cartoon of the Prophet Mohammed, holding up a sign that read "Je suis Charlie," or "I am Charlie" in French. The slogan became a symbol of defiance against terrorism following the attacks. 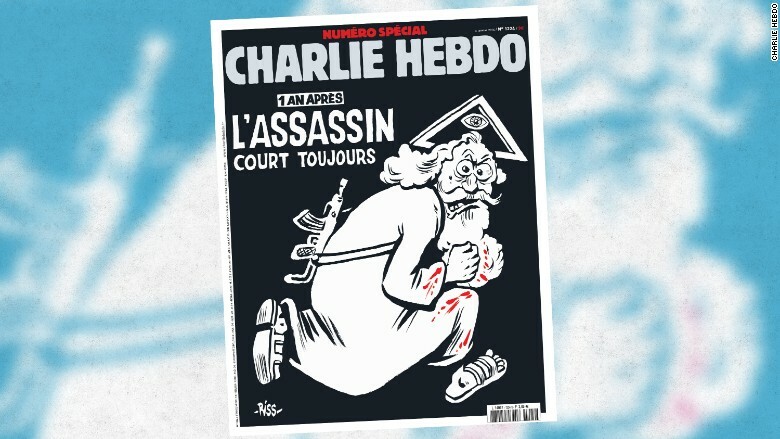 Charlie Hebdo published another defiant cover after terrorists slaughtered 130 people in a series of attacks in Paris in November. The magazine featured a cartoon of a man drinking champagne, which was cascading out of holes in his body. The headline read: "They got the weapons -- Screw them, we got the Champagne!" -- CNN's Saskya Vandoorne contributed to this report.